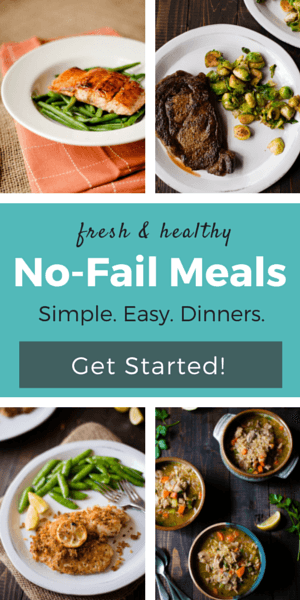 In need of easy salad ideas and great salad recipes? 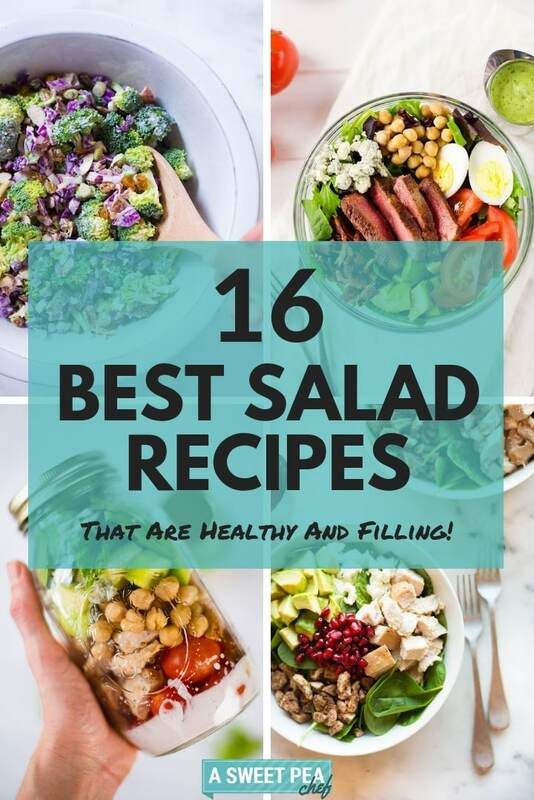 Hope you are ready to have your mind blown by these 16 best salad recipes that are filling, satisfying, and easy to make. From quick salad recipes to make-ahead salads, you have plenty of options to make your salad meals healthy and delicious. Salads are convenient and easy to make. 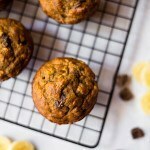 They are also the go-to healthy meal for everybody who wants to add more nutrients to their diet. How would you describe your favorite salad? For me, it’s a clean, healthy salad packed with protein and fiber, and rich in vitamins, minerals, and other nutrients. It also has to be colorful. And to taste delicious. Different textures and flavors are nice, too. I don’t like salads that don’t taste good or salads that taste good, but are not healthy. Not to mention, a salad is no good if it’s not filling or satisfying. So these characteristics have to be on the list as well. Who wants to bother prepping a salad only to feel hungry after an hour or so. No one, right? I like my healthy salads to be able to replace a meal. Successfully. The good news is, I know many salad recipes that can do that. I’m pretty sure you want the same thing from a healthy salad so I decided to gather all my favorites in one place. 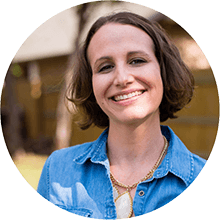 All these healthy salads are clean, easy salads that are delicious and filling despite being made with unrefined ingredients. 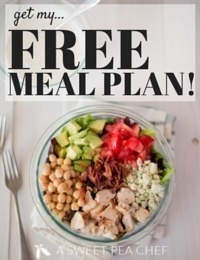 If you are looking for salad ideas, stick around and discover the best salads you can make for lunch or dinner, plus tips for how to make a salad healthy and delicious at the same time, and all my favorite healthy salad recipes. 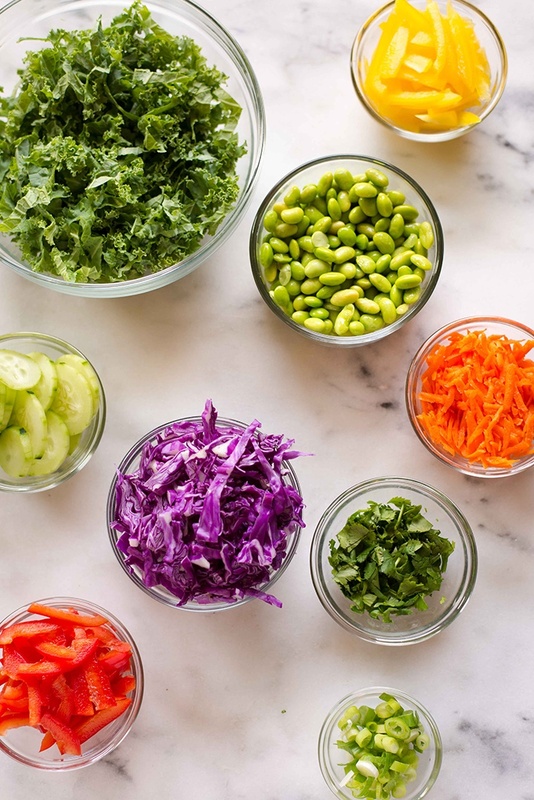 Before diving into the salad recipes, let’s discuss the tools you need to make healthy salads. That’s the first step in learning how to make a salad and we shouldn’t skip it. 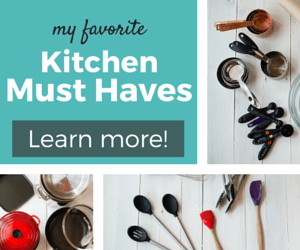 These tools allow me to make delicious and healthy salads and amazing salad dressings. And they will do the same thing for you. 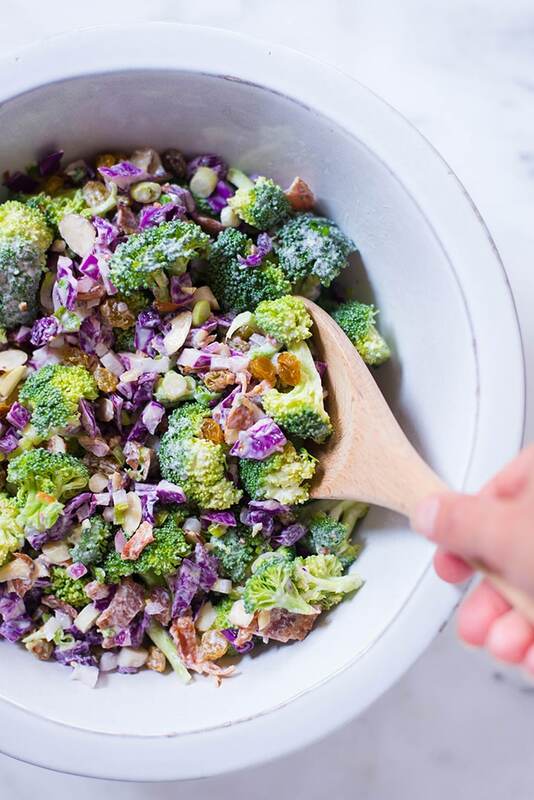 If you want to test these easy healthy salads, find your mixing bowls because you will use them a lot. 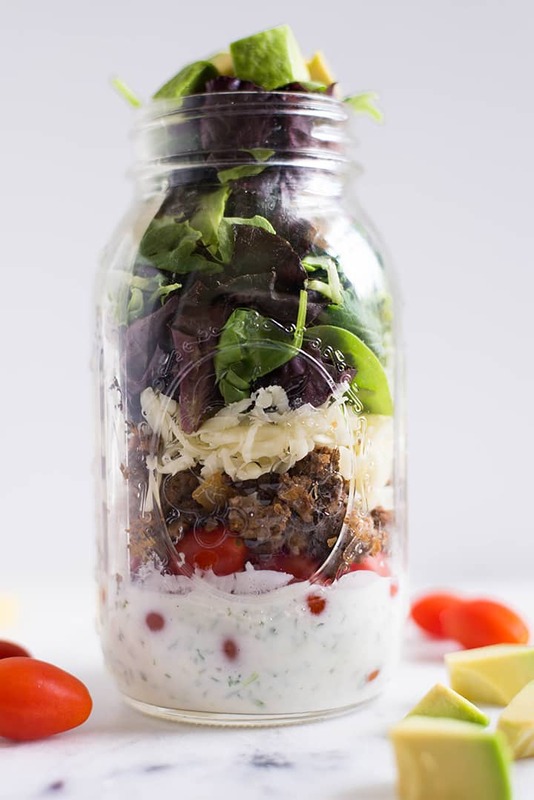 Also, make sure you have airtight containers and mason jars on hand for all the amazing make ahead salads. To make filling, satisfying salads, and delicious salads, you need to use both fresh and cooked ingredients. 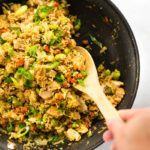 You’ll need a skillet or a pan to cook lean meats and a pot for boiling eggs and cooking rice or quinoa. 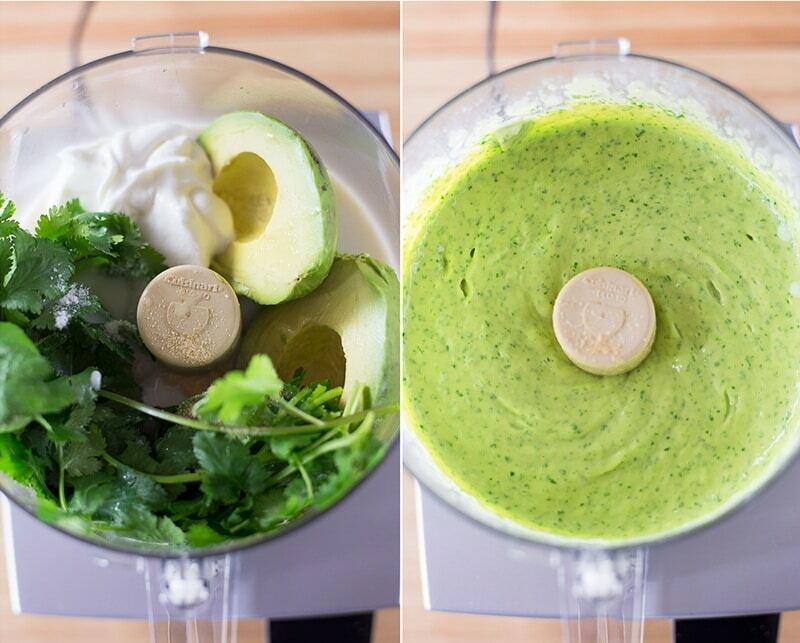 To make delicious homemade dressings for your healthy salads, you’ll need a food processor or blender. Aside from the tools I mentioned, you’ll, of course, need some kitchen essentials such as vegetable peeler, knife, cutting board to prep the veggies for the healthy salads. 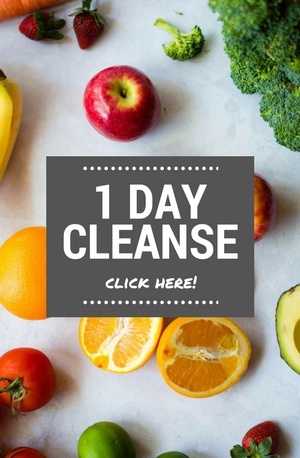 Skip the store-bought salad dressing that is loaded with fats and sodium and make healthy salad dressing from scratch with clean ingredients. 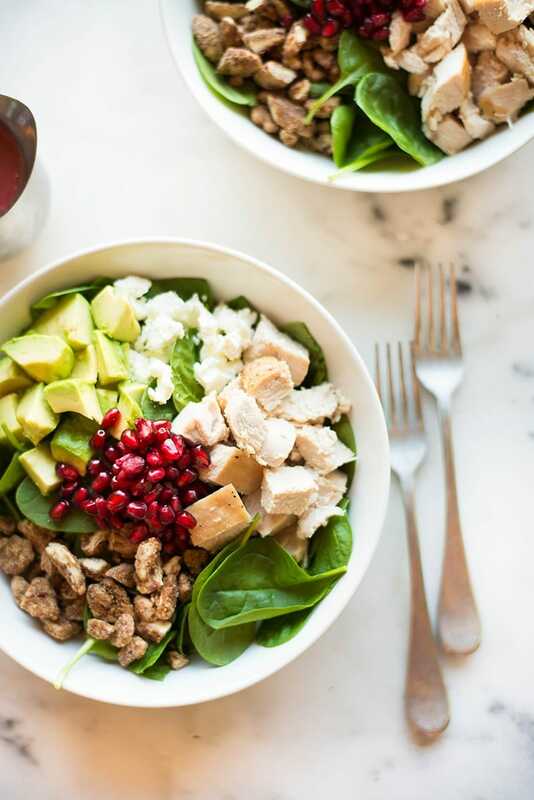 These healthy salad recipes are perfect for lunch or dinner and they are easy salads you can easily put together when you don’t have a lot of time to make a meal from scratch. In fact, there are some great make ahead salads on the list. Those are perfect for meal-prepping. 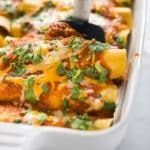 But, most of the recipes are quick salad recipes you can put together in less than 30 minutes if meal prepping is not really your thing. Although I really think it should be because meal prepping makes everything easier. So let’s start talking about these amazing salad recipes, shall we? 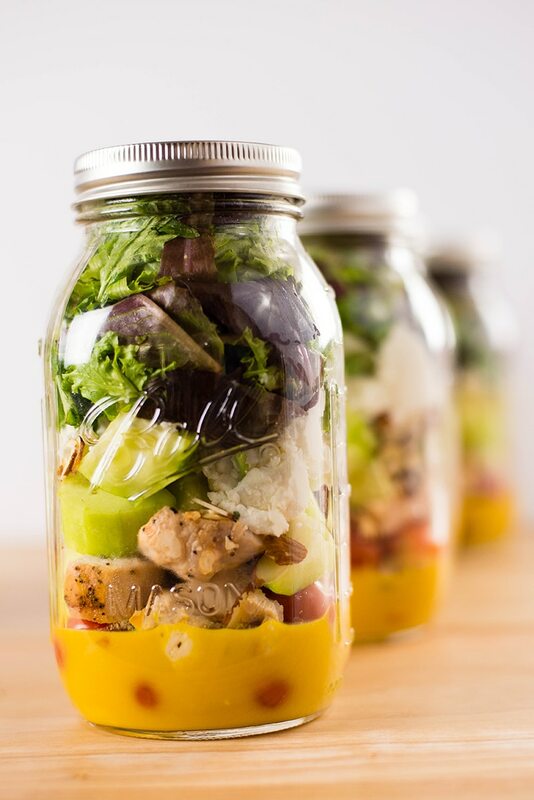 This Chicken Cobb Mason Jar Salad is the best salad ever for a nutrition-packed lunch. But it’s also great if you’re looking for salad ideas for dinner. It’s healthy, it’s clean but it’s also filling and delicious. With this Healthy Taco Salad Recipe, you’ll be cutting down on carbs without realizing it. 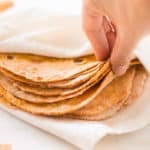 This salad recipe gives you the texture and amazing flavors of tacos but with fewer carbs and more fun. BTW, the Healthy Taco Salad Recipe is great for make ahead salads. If you’re looking for easy salads that allow you to satisfy your cheese cravings, this Beet & Goat Cheese Salad with White Wine Vinegar Dressing is calling your name. The salad is packed with fibers, protein, and vitamins and it’s perfect for a light dinner or a lunch on-the-go. 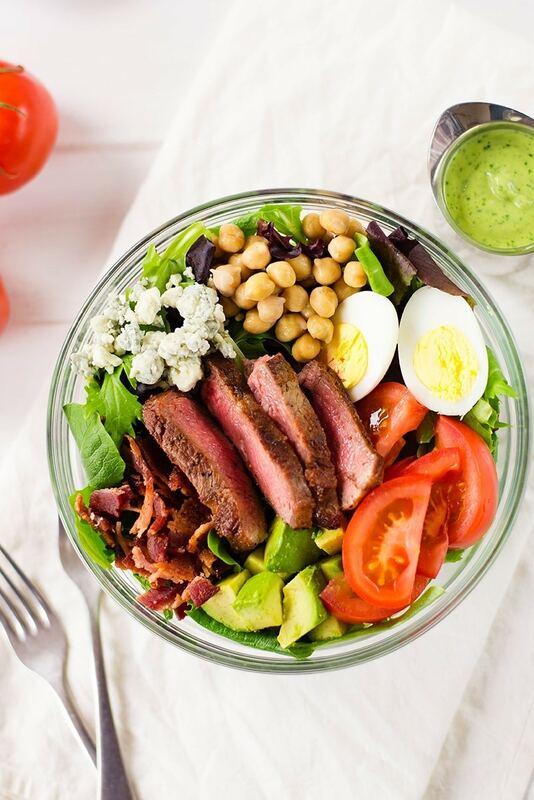 Steak Cobb Salad With Creamy Avocado Cilantro Lime Dressing – a fresh and easy salad that’s filling and tasty. Don’t even get me started on the avocado cilantro lime dressing. It’s. So. Good. 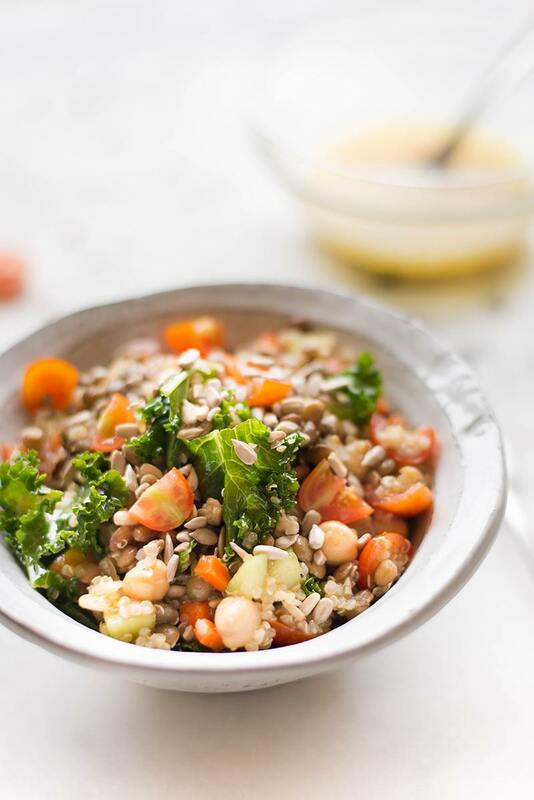 Out of all the healthy lunch salads out there, this Quinoa Lentil Salad with Lemon Vinaigrette has to be my favorite. It’s not only light and healthy, but it’s also vibrant, colorful, and flavorful. Easy healthy salads are the salads you can make without too much effort. Salads like this Leftover Turkey Salad With Cranberry Vinaigrette that is ready in less than 15 minutes and is as delicious as it can be. 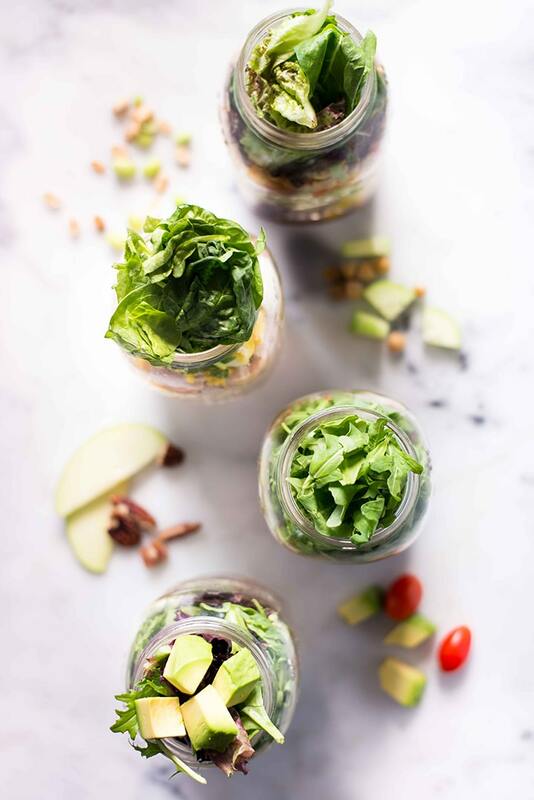 Add these 4 Easy Mason Jar Salad Recipes on your list of easy salads. As a matter of fact, add them to your list of quick salad recipes too because they are indeed quick and easy. And they look so pretty in the mason jars! 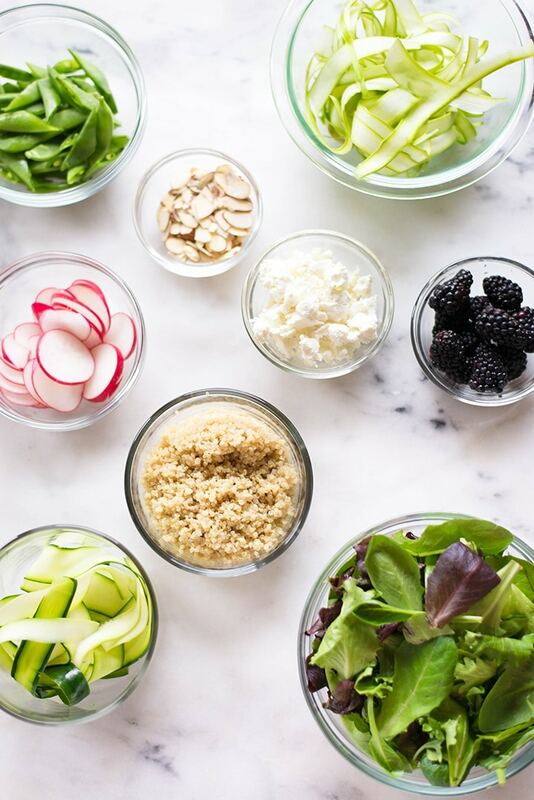 Amazing make ahead salads! 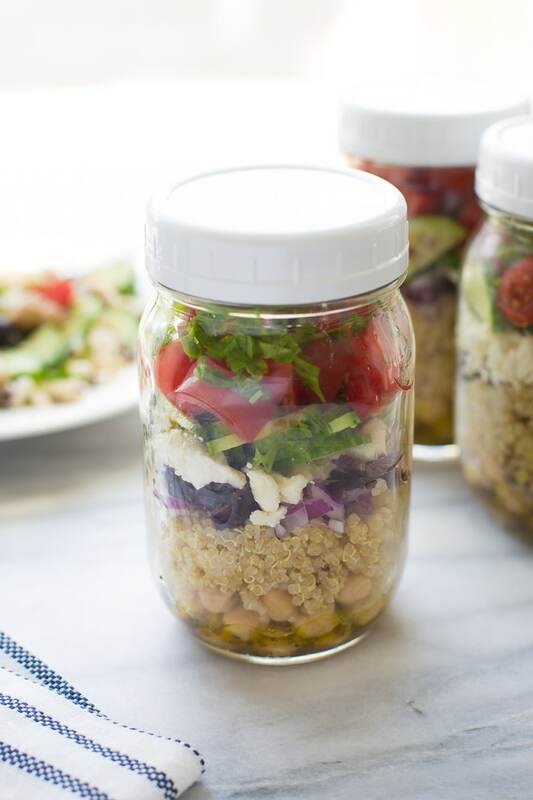 Speaking of make ahead salads, I have another amazing recipe for you – Make-Ahead Greek Quinoa Stacks. This salad recipe makes a week worth of lunch salads in only 30 minutes. Amazeballs! If you need healthy lunch salads ideas that are vegetarian (and easily made vegan by replacing raw honey with maple syrup in the salad dressing), make this Chopped Thai Salad with Peanut Dressing. 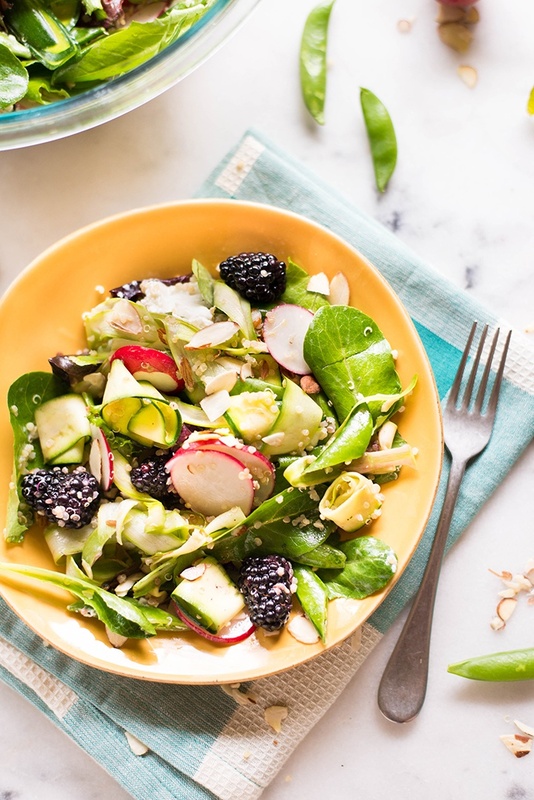 Spring is colorful, fresh, and amazing and the healthy lunch salads you make during spring should reflect that. 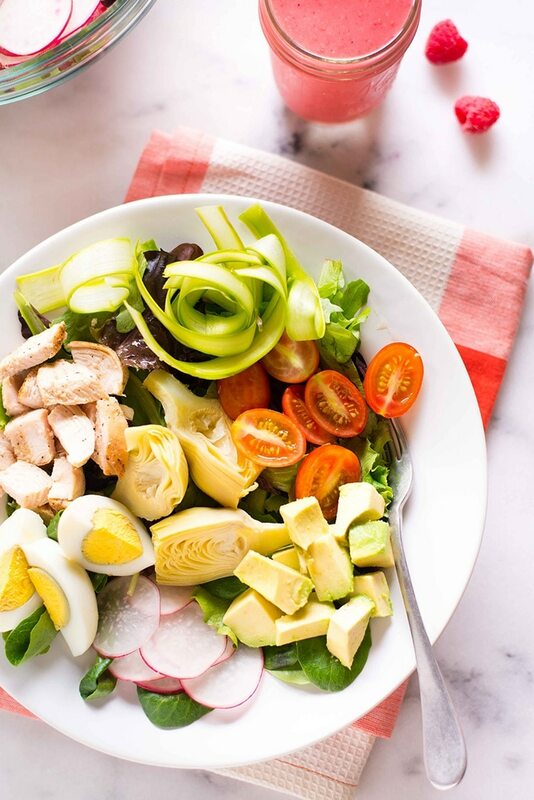 Like this Springtime Cobb Salad with Raspberry Vinaigrette does. It’s so colorful, fresh, and filled with delicious seasonal ingredients. 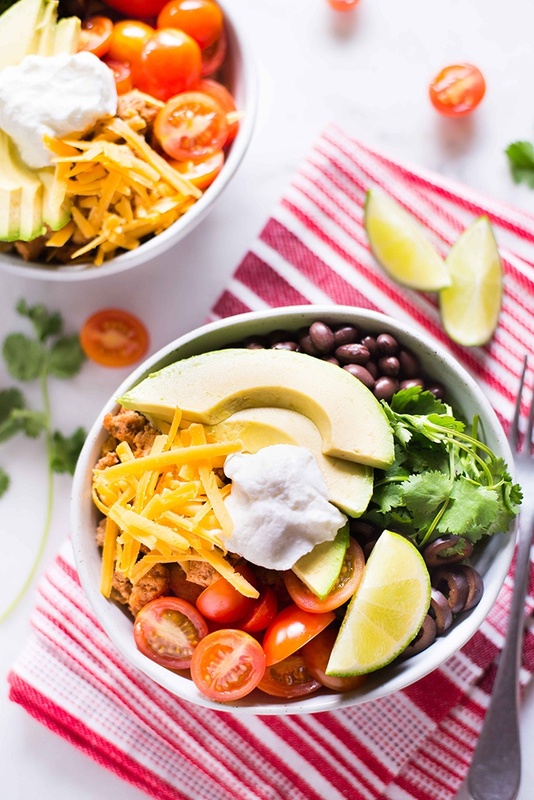 This Turkey Taco Lunch Bowl is a delicious bowl of goodness that tastes incredible, is filling, satisfying, and very easy to make. And yes, this easy salad is another great way to make tacos healthier without compromising on taste and flavor. Adding fruits to salads is a great way to make them interesting and exciting. And seasonal fruits are always the best option. 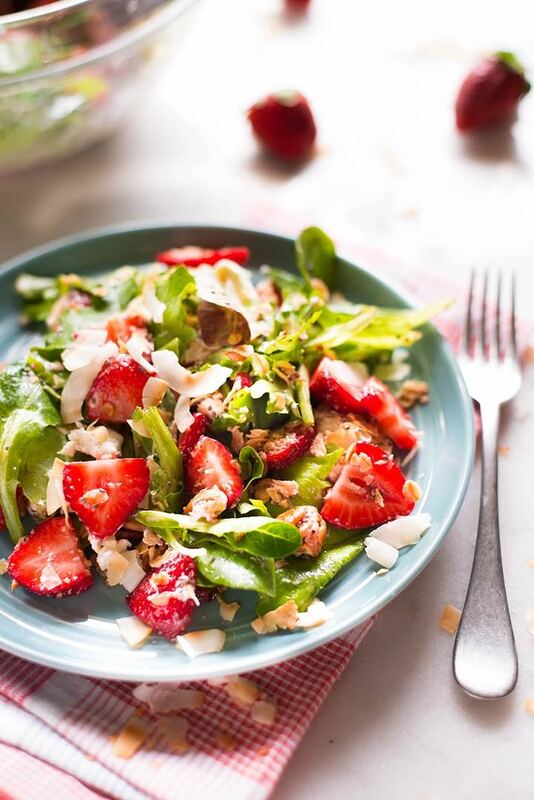 During spring months, make this Strawberry Fields Salad with Chia Seed Vinaigrette and enjoy the best flavors of spring in a light, healthy, and easy to make salad. This Spring Grains + Greens Salad with Honey Lemon Vinaigrette is fun, creative, and so, so, so delicious. It’s made with snap peas, goat cheese, blackberries, and other amazing ingredients. 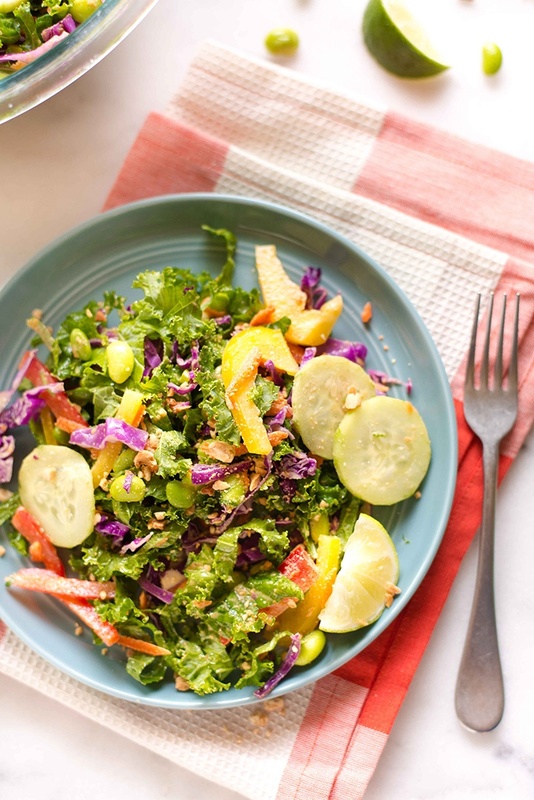 Plus a delicious honey lemon dressing that brings all the flavors together. After so many amazing healthy lunch salads, I think it’s time for more salad ideas for dinner. 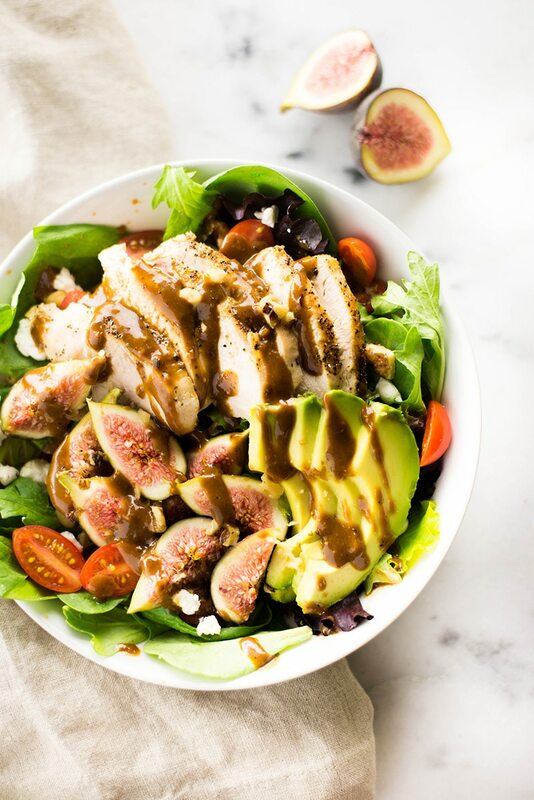 I hope you agree because I’m very excited about this End Of Summer Salad With Fig Balsamic Vinaigrette. It has the most amazing flavors! 16. 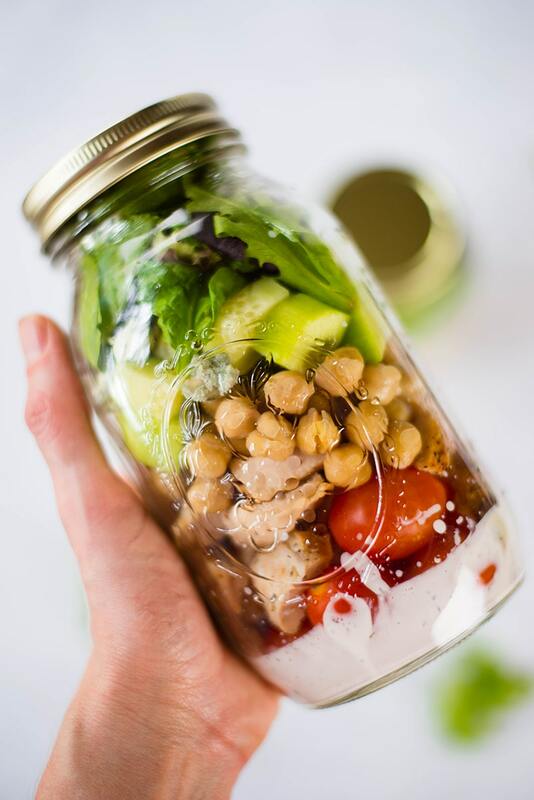 MAKE-AHEAD MASON JAR SALADS FOR THE WEEK + A KILLER CLEAN HONEY MUSTARD DRESSING! 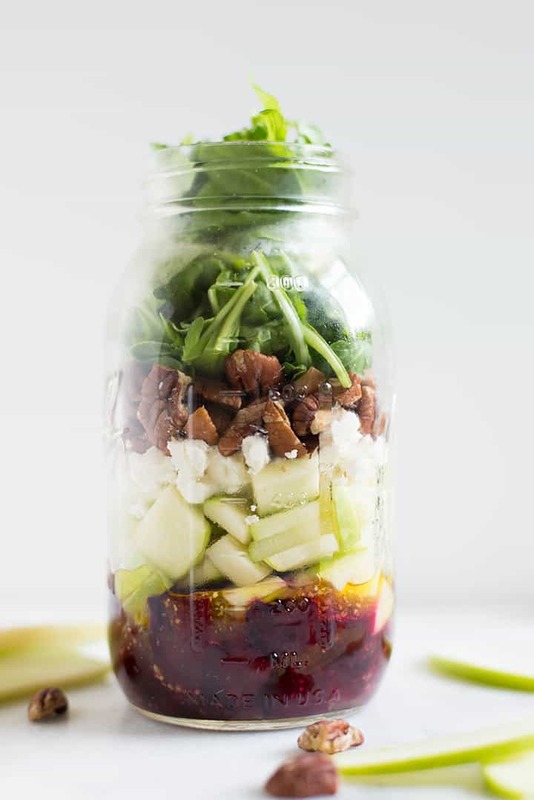 In a matter of minutes, you’ll make these Make-Ahead Mason Jar Salads For The Week + A Killer Clean Honey Mustard Dressing that will last you for an entire week. Amazing, right? The salad is even more amazing. And the dressing? LOVE! I was hungry when I saw it. thanks for this great information. I will try to make.